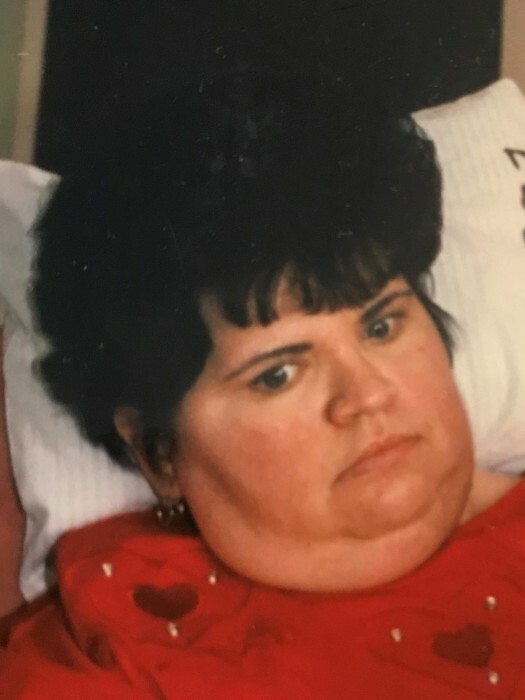 Lesa J. Sanders Wilson, 58, of Waterloo died Saturday, February 2, 2019, at The Laurels of DeKalb Nursing Home in Butler. She was born April 29, 1960, in Rockwood, Tennessee to her wonderful parents, Charles W. Sanders Sr. and Dorothy (O’Conner) Sanders. She was an active member of the St. Michael the Archangel Catholic Church in rural Waterloo. She also was a former member of the Veteran of Foreign Wars Ladies Auxiliary in Waterloo. Lesa kept a beautiful home, was a fantastic cook, loved to sing, and was lite as a feather on the dance floor. She was a wonderful daughter, wife, mother and sister. Surviving are five siblings, Charles (Nancy) Sanders Jr. of Conover, Ohio, Timothy (Shelly) Sanders of Auburn, Sheila Kay (Martin) Snow of Piqua, Ohio, Judy (Mike) McDowell of Waterloo, and Sharon (Paul) Sparkman of Waterloo; and several nieces and nephews. She was preceded in death by her parents; son, Nathan Daniel Wilson; two brothers, John Sanders and Christopher Sanders; and two sisters, Melinda J. Gingery and Janice Paige Moyer. A Mass of Christian burial will take place at 11 a.m. Thursday at St. Michael the Archangel Catholic Church, 1098 C. R. 39, Waterloo, with Father Vincent Joseph V.C. officiating. Burial will take place in St. Michael’s Catholic Cemetery in rural Waterloo. Visitation will be from 2 – 8 p.m. Wednesday at Feller and Clark Funeral Home, 875 S. Wayne St., Waterloo, with the rosary being recited at 7:30 p.m. Wednesday at the funeral home. Memorials may be directed to St. Michael the Archangel Catholic Church or Riley Children’s Hospital.